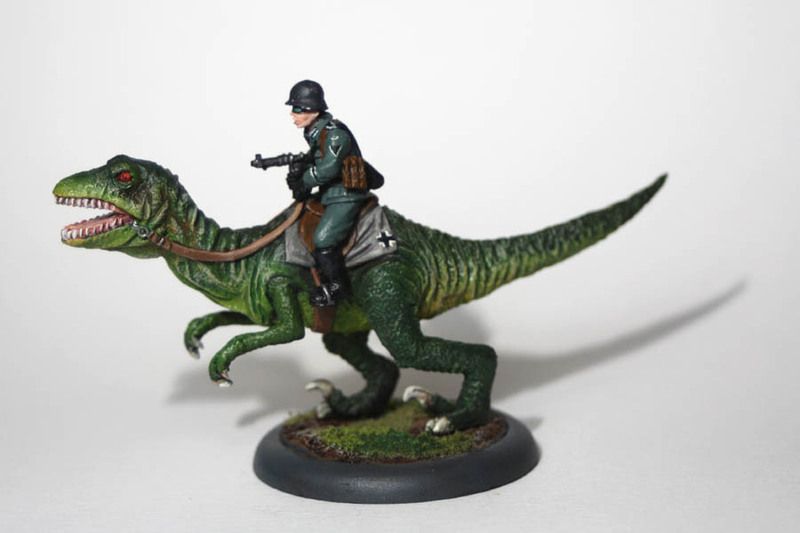 Here’s the first example of Germany’s mounted dinosaur units – the Kriegsclaw! 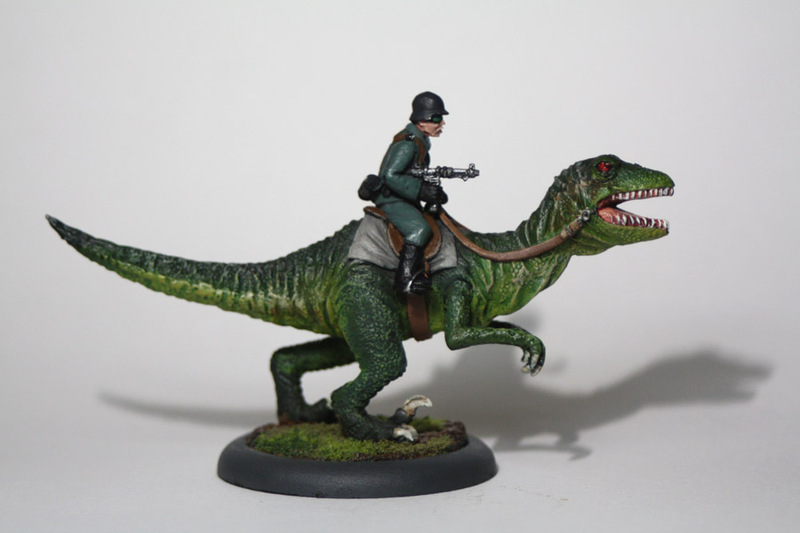 Made by Eureka, sculpted by Kosta Heristanidis and painted by Alan Harrison, the dinosaur it is based on Deinonychus (“terrible claw”). 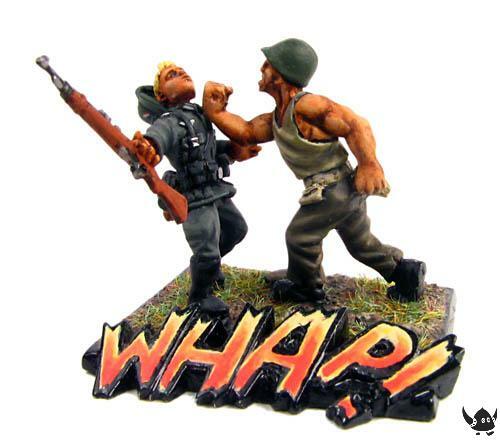 It is bigger than its original ancestor, but this is due to tinkering by Nazi geneticists. 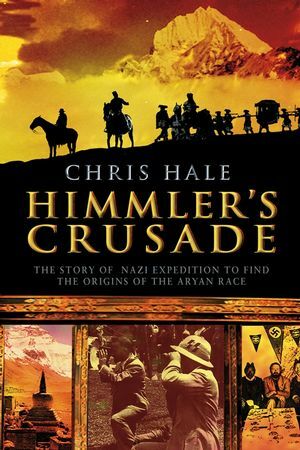 What the author of this book doesn’t disclose is that the expedition was actually investigating the fabled Yeti – Himmler was obsessed with the idea that ancient, powerful creatures were part of the Nazi ideal, and would eventually be vindicated with the Thule expedition. Here is the latest sketch Alan has done of the table. It now has a lot more terrain on it, which will be great for skirmishing. 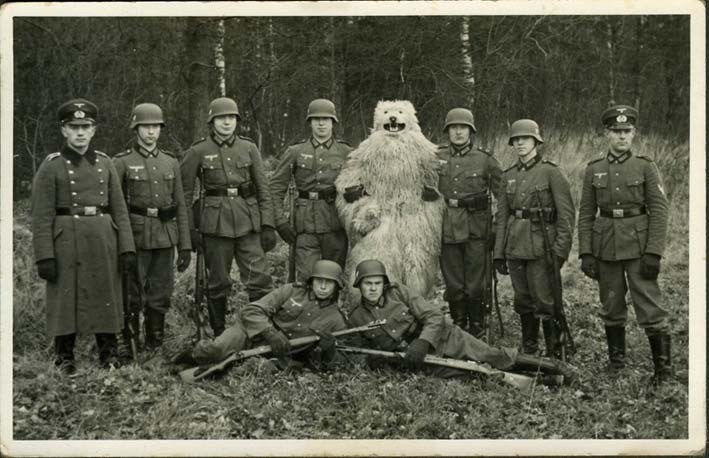 This amazing photo has come to light. 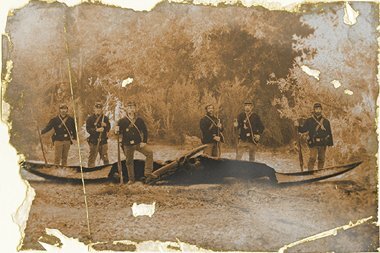 It seems that the Nazis were not the first to find dinosaurs – here we see Union soldiers of the American Civil War standing over the body of a pterodactyl. 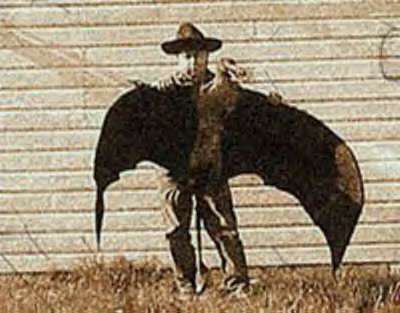 An American boy holds an unknown flying creature. The wings and head are different to a pterodactyl – where did it come from? 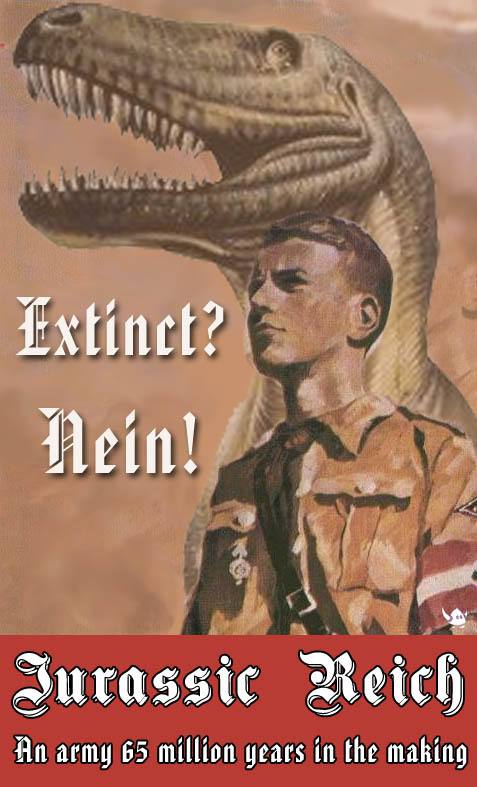 For me this is the definitive image for Jurassic Reich. Another superb poster from Alan. 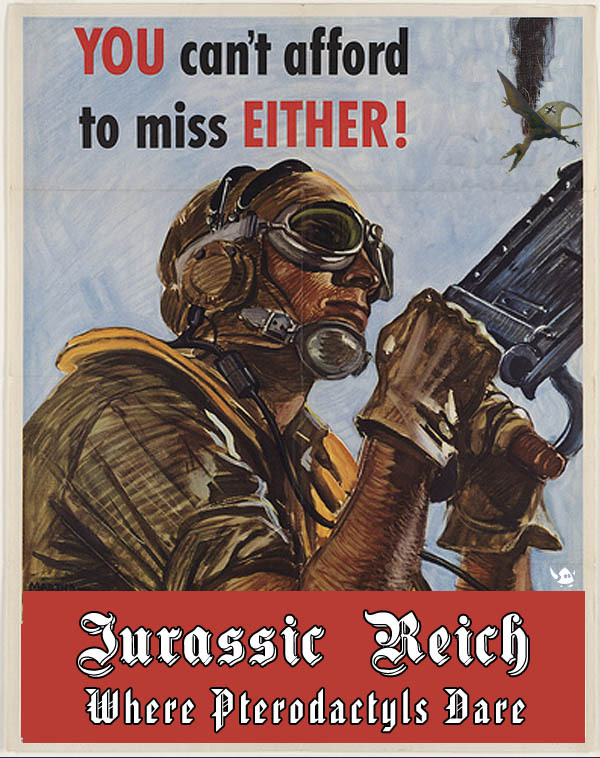 The first of Alan’s posters for Jurassic Reich!